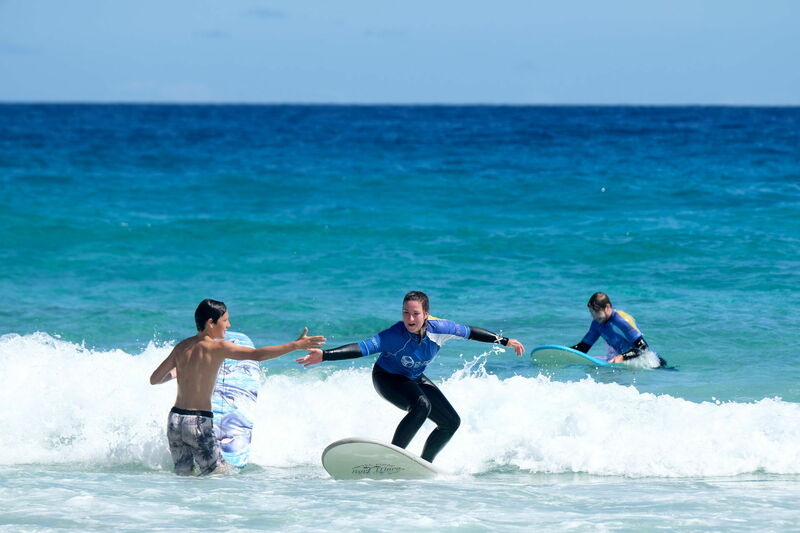 The most important part in a surf camp are the surf lessons, in this case the Surf Lessons Junior Surf Camp. 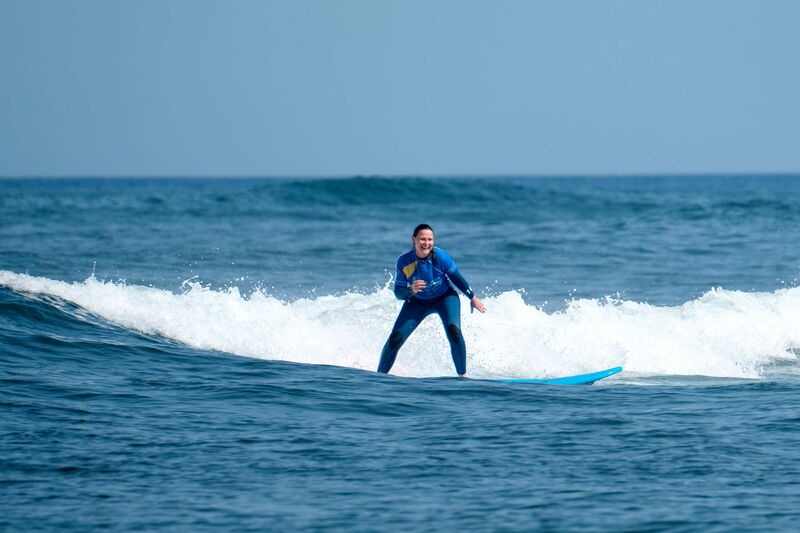 A high quality surf course has always a high qualified and well-versed surfinstructor. He promises fast progress and maximum saftey in the water. Because of this we take a closer look at the selection of our surf teachers. 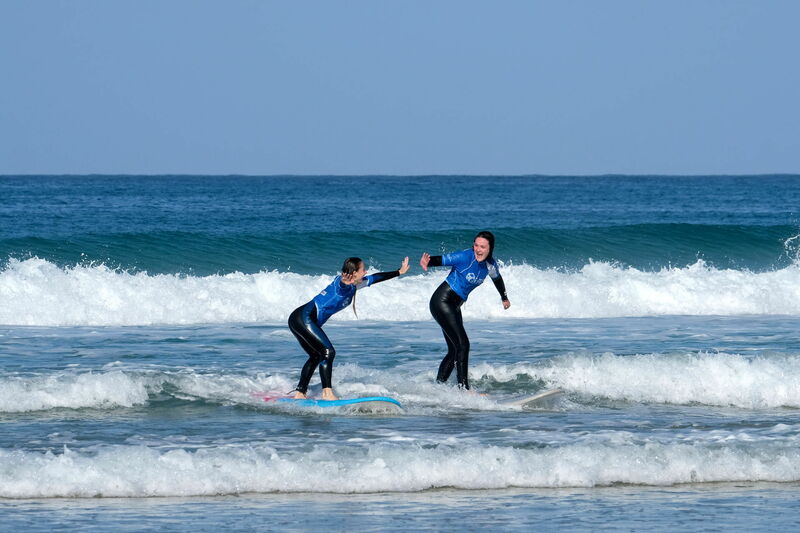 In our Junior Surf Camp you learn how to surf from well-experienced surfers. We expect them not to be only excellent teachers but also fabulous surfers – unfortunately this is not the case in every surf camp. With that two of our surf teachers hold office as surfriders of the German national team. The saftey in the ocean is our highest priority. We want to to feel comfortable and safe and we also fidget to give this feeling to your parents during your stay in our camp. That this is guaranteed we teach in small groups of max. 8 people. So we can pay attention to every single student. We offer differnt levels: Beginner, intermediate and advanced courses. So we want to gurantee a fast progress of your surf skills. You have never stood on a surfboard yet? You have never heard from the words “leash” or “swell”? Then you are totally right in our beginner course. Here you learn everything within 24 lessons: practical experience for your first take-offs but also basic facts in our theory lessons. Our teachers in our surfcamp Spain take a look to you, your skills and of course your improvements. You have already taken the first waves in the whitewash and now you want to step forward to the next level? This course is for everyone who is familar with board and waves. In also 24 lessons our surfinstructors in the surfcamp Spain want to ride green waves and maybe do the first turns. Our surfteachers teach since many years and with their experience and their specialized knowledge they can teach you optimal in surfing and give you good advices that you improve fast. You want to learn how to do turns and green waves are your order of the day? In the junior surfcamp Spain you get useful tips from our teachers to get the finishing touch. You should not have problems in waves of 1,50m with that our teachers can teach you turns within 24 lessons. 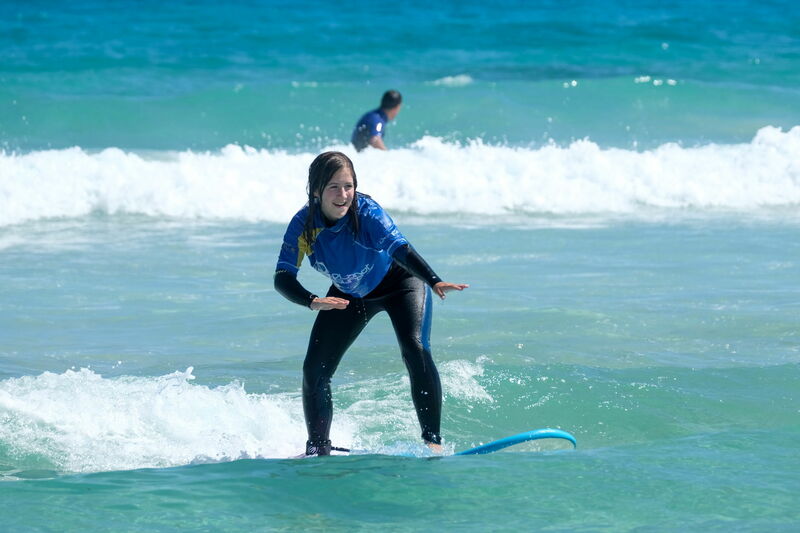 We are looking forward to surfing with you and teach you in our Surf Lessons Junior Surf Camp!